Indeed, 2013 is the year of the big comeback of LACE! 🙂 Being obsessed with the Victorian Era, you can imagine how happy and excited I am for this trend rewind. As of today, my ward has two lacey stuff, one is a vintage blouse from years back and one from the recent sale in Market Market at a very cool steal price of Php 200.00. Can‘t wait to wear these, but ofcourse, no lady would like to overdo a fashion. Gonna wear them separately. The white lace top would probably look hip with a pair of denim shorts, a faded one, a pair of fitflop and a brightly colored Kipling cross-body messenger bag. Nice ensemble for roaming the mall or grocery stores. The light pink shorts would perhaps look chic on a tank tap covered by a well-fitted thin cardigan. The look should be complete with a nice pair of wedges. Seems perfect for a morning stroll in a park or a quick getaway to somewhere cold like Tagaytay. Accessories could be added if you have extra minutes. I remember I also bought an elegant-looking pair of shoes a year ago. Gotta think of another set of outfit. 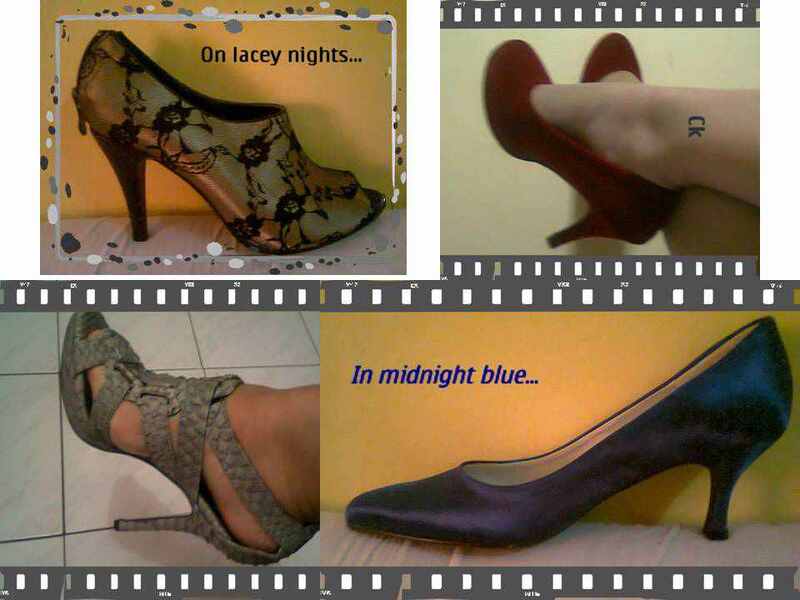 I can imagine wearing the black lacey shoes during a dinner date or late night events or a gala night at CCP Theater. Since its Friday, I bet many singles are out on gimmicks, partying their hearts out. Well, enjoy… easy on the drinks and on the road. And I also bet, many parents are looking forward to the weekend bonding with their kids.